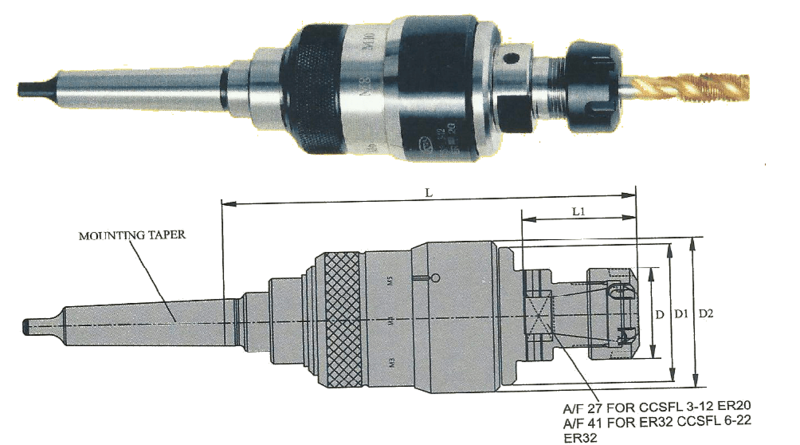 Item Name For Taps Suitable Collets Length Comp Float D dia D1 dia D2 dia L L1 ..
For Tapping operations on reversible drilling & Tapping Machines & Turning Machines. 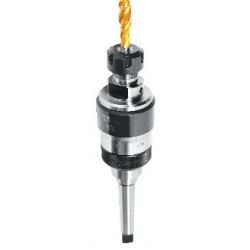 Wide range of Collet head for clamping of the taps. Adjustable safety torque clutch for prevention of tap breakages. Radial Parallel float to compensate for misalignment between hole & Tap. Length compensa tion ac ting on compression & expansion which compensates machine feed & Tap pitch. Where can I buy CCSFL/MORSE TAPPER Online?